Membership Offer 7 months for the price of 6! 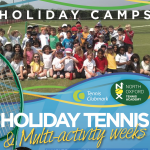 At NOLTC, our holiday tennis camps and multi- activity sessions are designed for children aged between 4 and 17yrs. 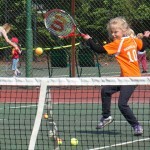 Players are organised by age and ability, ensuring they receive the most appropriate coaching, all in a super-fun environment. For more information go to the Holiday coaching page.